So Man of Steel was a huge success then. There was a lot of chatter when it was first released about some of the choices the writers made in the film. Admittedly this was usually expressed in a howl of “THAT’S NOT MY SUPERMAN YOU’VE BETRAYED MY CHILDHOOD!” nerdrage, but whatever. It also seems to have been a film which was either loved or hated by people. You can count me among those who loved it. In fact, I went back to see it in the cinema again, and found it even better the second time. But what I want to do here is to delve into the matter of Clark’s relationship with his two fathers. Because that’s at the heart of this film, and it’s very different to any other version of the story I’ve come across. A lone survivor of the doomed planet Krypton – a baby – is sent to Earth in a spaceship by his father Jor-El. The ship arrives in Kansas where the childless Kent family adopt the boy, and name him Clark. As he grows, it becomes apparent that he has abilities and powers that others do not, and he uses these powers to help humanity. This much is consistent among all of the origin stories. Pa Kent teaches the child what it is to be human, that helping others is the right thing to do. Except, in Man of Steel, he doesn’t. And this is where we have our major departure, the story choice that makes this different to every other telling of the Superman story. It’s clear that he loves his son, but all of his advice is the same every time he talks to him: Keep your head down. Don’t get noticed. Don’t let anybody know who you are. Jonathan Kent would rather that Clark had let all of the kids in the school bus die than that he have his secret revealed. And the thing is, Jonathan really believes that this is for the best. He believes that the world would turn on Clark, hate him for not being like us. This is a man who would rather die himself than let Clark’s secret be exposed. This change of characterisation from previously seen Pa Kents is huge. No longer is Jonathan the homely American farmer raising his child to fight for truth and justice. Quite the opposite, in fact. He urges concealment and stealth and lies, because he doesn’t think that justice would exist for young Clark from the people of Earth if the truth were to come out. Clark takes his father’s advice to heart, roaming the Earth, doing good where he can, but never revealing who or what he is, until he finds a spaceship from Krypton’s expansionary age, and meets his biological father. Jor-El then explains to Clark a different vision of his destiny. Jor-El: You will give the people of Earth an ideal to strive towards. They will race behind you. They will stumble. They will fall. But in time, they will join you in the sun. In time, you will help them accomplish wonders. Lara: He’ll be an outcast, a freak. They’ll kill him. Jor-El: How? He’ll be a god to them. And this is very interesting, because it means that Jor-El knows that Earth will give his son powers and abilities above and beyond that of anyone else on the planet – and expects him to lead humanity. General Zod: You led us here, Kal. And now it’s within your power to save what remains of your race. On Krypton, the genetic template of every being yet to be born is encoded in the registry of citizens. Your father stole the registry’s codex and stored in the capsule that brought you here. Clark Kent: For what purpose? General Zod: So that Krypton can live again…on earth. Where is the codex, Kal? 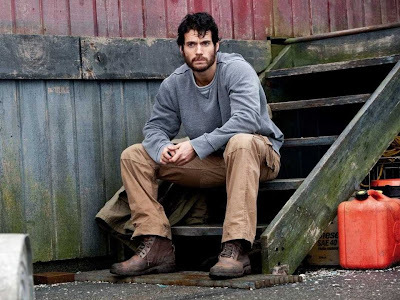 Clark Kent: If Krypton lives again, what happens to earth? General Zod: A foundation has to be build on something. Even your father recognized that. Clark Kent: Is it true what Zod said about the codex? Jor-El: We wanted you to learn what it meant to be human first so that one day, when the time was right, you could be the bridge between two peoples. Jor-El intends for Krypton to be recreated on Earth. Jor-El intends for Clark to be the ruler of this new world. Jor-El and Zod both agree that Krypton needs to be recreated on Earth; they just disagree on whether humans get to live in this new world or not. Just like Clark’s adoptive father, Jor-El has his own plans for his son, his own visions of how Clark’s life will plan out. So how, confronted with these two different world-visions of Clark’s relationship with humanity, does he choose to engage with the world? Hide from it? Or rule it? But Clark makes neither of these choices. Instead, he chooses to trust humanity. Young Clark: The world’s too big, mom. Martha Kent: Then make it smaller. It’s Martha who teaches Clark how to make his own choices, how to look at the world as a thing that can be understood rather than feared or used. And it’s only when he starts engaging with humanity as equals, rather than listening to either of his two fathers, that he can save the world.